Awesome spot to stop and walk around, has a drop toilet and parking. It’s down a graded dirt road, but I didn’t see any designated camping sites. Close to town of ELY and very affordable, nice & helpful owners. This is a campground within Great Basin National Park. It is reservation only, which is why we picked it, but there are several other campgrounds within the park. I believe the others are first come, first served. We found that the sites were pretty private and not on top of each other at all. The cliffs here are very pretty and are a nice backdrop. Grey Cliffs is a tent only area and each site has a fire ring with a grill and a picnic table. There is no running water, vault toilets and trash cans put here and there. We have a tent that needs to be staked-this was a problem there. The ground is so rocky it became very difficult to drive a spike into the ground far enough to work and not bend them. Do not bring a large tent, the pads are small. It wasn’t terrible once we were set up, and the price is right. If we were to come back to the park we’d try to either camp at Baker or Wheeler Peak, up the road a ways. Close to world class trilobites and the 2nd tallest cliff in N America! Home to one of the biggest cliffs in North America and you've probably never heard of it. Notch Peak is just to the south of the campground. And has ~2000' of vertical rise and lies 4000' above the surrounding valley. Theres some good climbing in the canyon but there is room for plenty of development. The coolest thing about this area is the hermit cave a little further back in the side canyon where the gps dot is. A hermit lived here for 20 years and according to my geology teacher would clear debris off the old highway and sometimes block it when he wanted company Haha. Just make sure to bring a gps locator or satellite phone because no one gets service out here, oh and lots of water! Quietest campground Ive ever been .. Friendly and likeminded campers. Only one downfall is that alot sites are not level but dont let that detour you. Cleanest pit toliets ever. Great Basin National Park is a great place for solitude, hiking, touring Lehman Cave, and stargazing. We spent 3 nights camped at 10,000 ft with lows in the 40s and fall colors starting to pop! Out of the way and many opportunities for isolated reflection. Beautiful location next to a creek. The National Park staff does a great job and better taken care of than the National Forest Campsites in White Pine County. Lots of spaces, lots of choices. You have a lot to pick from, no reservations required. Tent, camper, or walk in, all are welcomed. Water is available during the summer, restrooms are ok, trash can through out. Plenty of privacy in your space, all for 15 per night and no national park entrance. Plenty of hiking spots and a cave to explore. Cafe and gift shop not far away. Great national park to visit, not very busy but very beautiful. Cave Lake State Park offers outstanding recreational opportunities year-round. Stocked with rainbow trout and home to German brown trout, the 32-acre reservoir provides outstanding fishing and boating. Other summer activities include swimming, hiking, camping and mountain biking. Once winter arrives, guests of the park can enjoy ice fishing, skating, snowmobiling and cross-country skiing. The park is also home to abundant and diverse wildlife. The campsites are very nice and offer views of the lake, be aware of mice….don't leave any food out! Star gazing here is incredible as there is no light pollutin…sit back and watch the wheel in the sky turn - Milky way baby! Good camping in an underrated..
Good camping in an under rated (nobody talks about it) National Park. Whether you're there to see the bristlecone pines, or Lehman Caves, this is a good spot to be! Very nice campground with ample wild life to keep you entertained, turkeys roaming through camp, roosting in trees, and yellow bellied marmots eating the road for it's salt content. Don't forget to go to Lehman Caves! Great campsite next to the river! Approximately 24 campsites next to Lehman Creek, first come fIrst served. Many are next to the creek but all can hear it. Deer everywhere, lots of vegetation and many of the sites are shaded. The cleanest vault toilets I’ve every seen. Very quiet and peaceful. Great Basin is a park you really want to go to in order to actually go to. Situated in the middle of Nevada, it features a sky island environment, rising from high desert scrub, to Aspen forests, and to above timberline scree. Campgrounds are typical NPS style; light on amenities, but heavy on experience. There are vault toilets and potable water available. And the night skies. Wow, just wow. Some sites are bigger than others, ours was big enough for 2 4-man tents. There is no water access, but the bathrooms are very well maintained & cleaned daily. Would recommend staying there during the cooler months, we went in July & it was pretty warm, but hiked in the higher elevation areas (wheeler peak) & the weather was great. If you stay near Great Basin National Park make sure to check out the Lehman Caves. Also, the people at the Lehman caves gift shop & cafe are super nice & awesome people. Currently, fires are not allowed. Largest cliff in Utah and 2nd highest in the US! T start off if you dont want to add a mile both ways to your hike make sure you have a high clearance vehicle (4wd helps) the road is loose and steep. Also make sure you have a spare tire and a way to reach someone in an emergency as you most likely wont have service. The hike goes up through some dry drainages before finally rising to the saddle east of the summit. I absolutely love this campground. I stayed in one of the cabins for 4 days and it was great. It has air and heat along with a small fridge. The porch had a nice swing to enjoy! The bathroom was clean and showers clean and hot. NIce quIet campground and also has a nice country store. I can't waIt to go back again this weekend! Though extremely unlevel, the positive atmosphere here makes up for it in every way. It's a small campground with only eleven sites, but it's nearly impossible to see a neighbor. The trees and bushes are thick and high, and you feel like you're in your own private corner of the world. We arrived around 11:30 on a Wednesday morning. Only three sites were taken, so we had a pretty good pick. If Site #4 was level, it could arguably be the world's greatest campsite. It's located right by the creek and is surrounded by trees and shrubs. There was a picnic table and a fire ring, too. The creek kind of splits upstream right before the site, so we had a little wading pool to cool off in after hikes. We foraged for wood, and it burned and smelled awesome. This campsite was a dream. The dump station at the visitors center was down when we arrived, but they said there were places in Baker you could fill up. We had just come from there and were not excited to do more driving, so my husband filled up the tank manually with a six-gallon jug. He's my hero. :) It was doable and not that bad because there are spigots throughout the campground. When we left, we dumped at the gas station in Baker (which was oddly out of gas). Come prepared! Luckily we had enough to make it to Milford, Utah. Lower Lehman is located at the base of the mountain, so be aware that it's about 10-15 degrees warmer here than it is at the top of the mountain. It was about 85 degrees in the middle of the day, but the shade and the creek helped. Plus, we stayed up on the mountain for as long as possible, and if you do a cave tour (which you should!) it's always 50 degrees in there. Great Basin was a wonderful surprise. We loved the caves, the hike to the glacier, the alpine lakes, and the bristlecone pines. The scenery is breathtaking! 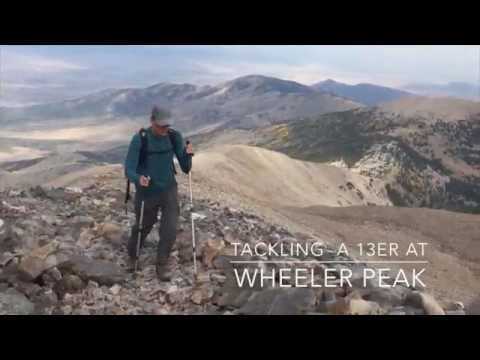 The Wheeler Peak campground is a primitive campground up a steady and steep road in Great Basin National Park. If you are heading here I would do several things at the last major city you come to. 1)Buy all the food you will need. 2) Buy TP 3)Gas up the vehicle. You are literally in the middle of nowhere with a few small towns close buy but nothing really accessible to the park if you need supplies. Also, if you are going to go to this campground, bring your cold weather gear even in summer. You are really high up and it does get chilly at night. When I was here the park rangers told me it was full and that driving all the way to the top was just for the vies. When I got to the top, it wasn't close to being full and I got a really nice spot next to a stream. I say this so that you check the sites yourself instead of word of mouth. It is a first come first serve campground so you never know how things will turn out. The sites themselves are great! I had a level spot to set my tenet up on and there was a table and fire ring. I was told you can collect firewood here that is on the ground but I would check with the rangers first. The bathrooms are a pit toilet and they have no showers. I would definitely do the bristlecone hike up even if you are short on time. It is well worth the time and adventure. I love this place! It is a HIDDEN GEM. There are caves, glaciers, alpine lakes, Bristlecone pine trees….it's incredible. It feels like such a secret treasure in Nevada. The stars are amazing at night time! And another highlight…there are barely any people here! It is a quiet place with no crowds. It feels like a more "wilderness" experience for a National Park. It is very beautiful and peaceful. I loved camping here. I am itching to come back! This campsite is located within Great Basin National Park. Each site offers a different natural setting, with plenty of space for a couple of tents, a campfire, picnic tables, and easy access to restrooms and drinking water. 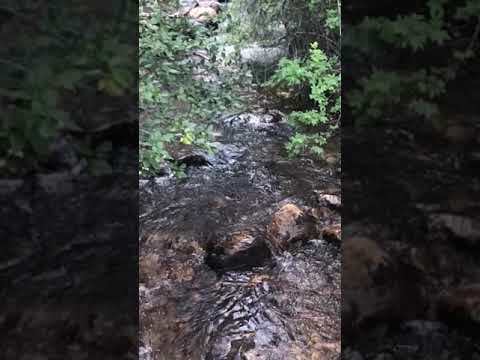 It's nestled between babbling brooks, with serene sounds of nature and wildlife. Just spent a week there. Loved it! Very clean nice camp spots. Most spots not real big. If you have a big rig not recommend. Bathrooms with free showers, free dump for paid campers. Fishing was awesome! Great hiking trails, except no printed maps of trails. Great mountain biking too, we did all three. Lots to see close by. $15 a night. No reservations accepted, it filled up for the weekend. Enjoyable sites right next to the creek. Lots of space between sites. Clean outhouses. Bakers Creek campsite is great. The sights are good sized, and they're spaced pretty well. Definitely won't run into you're neighbors. It's a little bit of a drive to the Lehman caves visitor center, but it's better than some. It's first come first serve, but Bakers Creek doesn't fill up often. I had a perfect long weekend camping at Upper Lehman Campground on August 11-14. After arriving at Great Basin National Park a little before noon on Friday, I had a handful of nice sites to choose from, a rarity in the national park system these days. I settled on site #21 and I couldn't have asked for a better site. Impeccably clean, far enough off the road to not get flashed with headlights, and the perfect distance from the pit toilets. There was also a water pump close by, and a fire pit on the site. Every morning, I'd wake up to several mule deer moseying through camp and a family of turkeys. The park itself is gorgeous and a hidden gem. I enjoyed the Cave Tour and my strenuous, but rewarding hike to Wheeler Peak. There was a nice astronomy program about the Perseid Meteor Shower, but it was best viewed from the perfect clearing I had amongst the aspens of my camp site. I will return to Great Basin many more times in the near future! Nestled in the sleepy town of Baker, NV lies this tiny little campsite. So small that I didn't even notice it as I rolled up to the Great Basin National Park. I actually showed up pretty late..about 7PM, so I wasn't that surprise that the park was full. It was on my way out of the park that I came upon this little hidden spot. The site actually caters more to RV's and has a few cabins, but the staff were sympathetic to my lateness and gave me a site for my tent. The downfall is that it sits on a busy road that is near to the highway but they offer toilets, a shower and a bar! Hard to reach but even harder to leave - a hidden gem in the national parks. Great Basin is one of the less-visited national parks, but when we visited during the annual Astronomy Festival in September, we knew we might have a little more trouble finding a campsite inside the park. None of the campgrounds in Great Basin are reservable ahead of time. We aimed to camp at Upper or Lower Lehman Creek Campgrounds, located near the entrance of the park, and after driving through the lower campground with no luck, we snagged the last site at Upper Lehman Creek. The sites here are nicely spread out and nestled in plenty of vegetation, and we had no issues with noise even though we camped on what might be the busiest weekend in Great Basin. Like most other national park campgrounds, Upper Lehman Creek provided just the basic amenities: flush toilets, water, and picnic tables. We’d gladly take this rustic setting over other over commercialized campgrounds. Although Great Basin takes a lot of work to access -- it truly is in the middle of nowhere -- this park is a hidden gem. 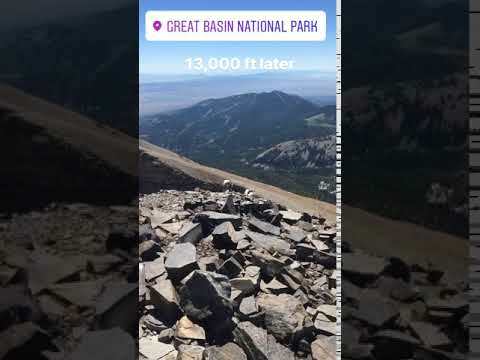 We especially enjoyed climbing Wheeler Peak (the second-highest point in Nevada), walking among the Bristlecone trees (the oldest trees in the world), taking the tour of Lehman Caves, and attending various activities at the Astronomy Festival. There’s little sense of being “on the beaten path” anywhere here, but if you want to get even further away from people, the Johnson Lake/Baker Lake 11-mile loop trail was also a great loop hike. The only downside, besides being located in the middle of nowhere, is that sites at Upper Lehman Creek campground are not reservable, so be sure to arrive early enough in the day to grab a site, especially if you are visiting during peak weekends. Great basin National Park is super underrated. You don't feel like your in a national park because there are hardly any tourist which is amazing. Lehman campground was pretty primitive and nothing special but was beautiful at night. We saw more stars than I've ever seen before. Lehman cave was awesome and well worth the hike.